It’s easy to find a 16GB flash drive with USB 3.0 for under $10 or, if speed is less important, a 32GB USB 2.0 model. To help you find the best USB flash drive under $10, we tested several popular models and rated them based on their performance and design. Below, you’ll find them ranked from best to worst. 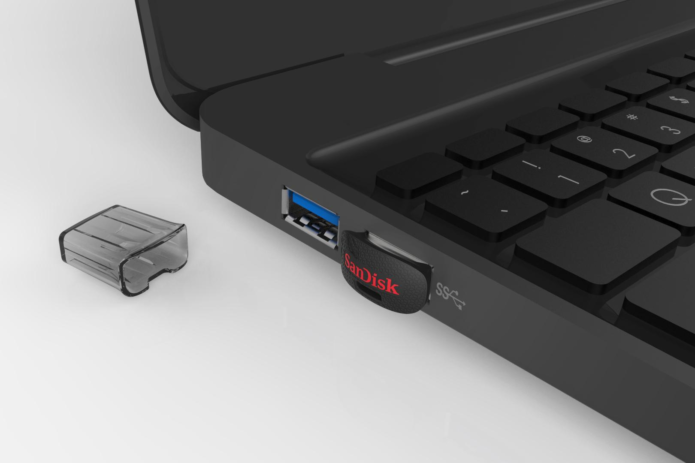 Micron’s Lexar JumpDrive M20 is our top choice because it provides a retractable micro USB 2.0 and a standard USB 3.0 male plug all-in-one, making it easier than ever to transfer files between micro USB compatible mobile devices and computers. In our tests, the JumpDrive M20 read files at 15.3 MBps and wrote at 106.0 MBps, outperforming all the other USB flash drives on this list. The Lexar JumpDrive M20 may not be flashy in appearance with its plain white casing and blue plastic accents, but Micron makes up for this with helpful features.